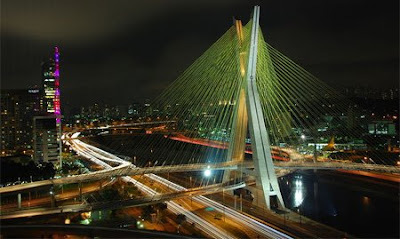 Beautiful bridges and creative bridge designs from all over the world. 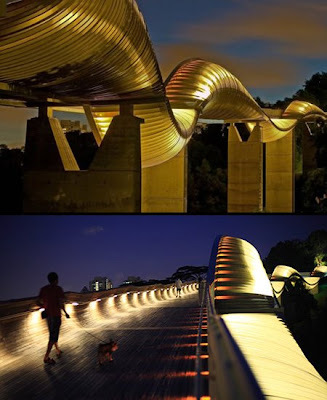 The highest pedestrian bridge in Singapore. This 9 km structure connects Mount Faber Park with Telok Blangah Hill Park. 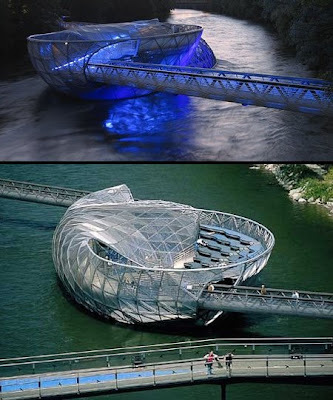 Designed by Vito Acconci, this ‘island’ has a sunbathing area, a trendy bar and a coffee house, plus it allows you to cross the Mur River in Graz, Austria. 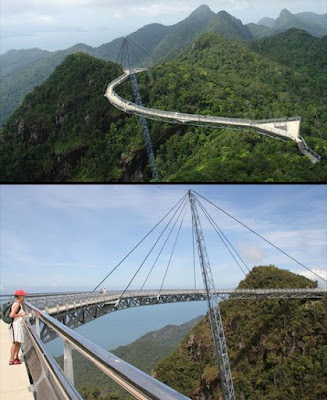 This beautiful sky-bridge in Malaysia is suspended at 700 metres above sea level and spans 125 across the mountains, offering magnificent views of the Andaman Sea and Thailand’s Tarutao Island. 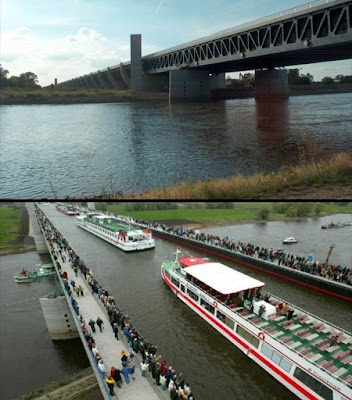 Located in Germany, this 918-metre navigable aqueduct water bridge bridges the River Elbe to connect two important German shipping canals; the Elbe-Havel Canal and the Midland Canal. 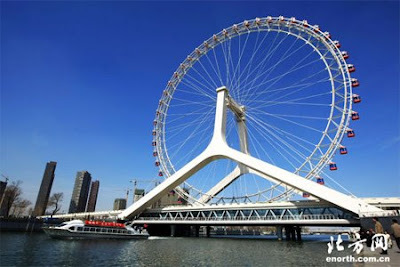 Giant observation wheel is constructed on a bridge over the Haihe River in the city of Tianjin, China. 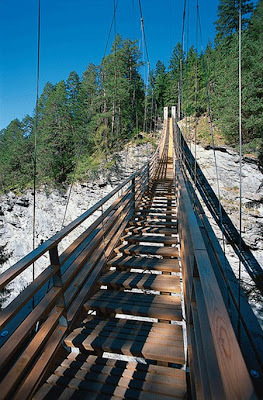 Unusual staircase bridge that covers a distance of 56 metres. 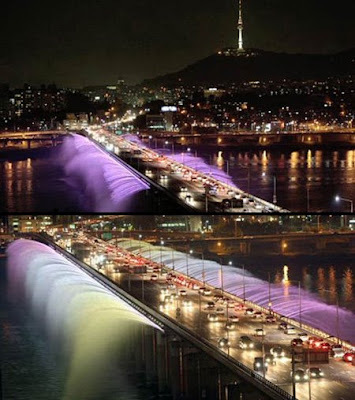 The fountain bridge that crosses the Han river in the Seoul capital of South Korea is a major tourists attraction. 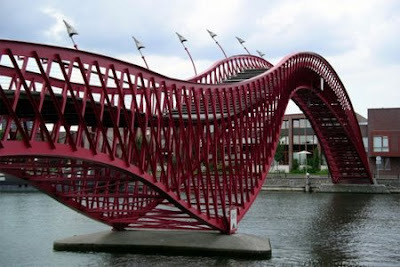 Beautiful modern bridge located in Amsterdam’s Eastern Harbor. 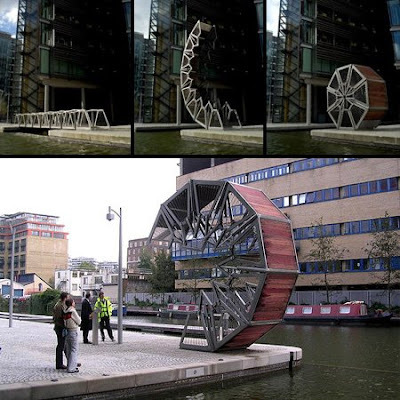 Rather than a conventional opening bridge mechanism, consisting of a single rigid element that lifts to let boats pass, the Rolling Bridge gets out of the way by curling up until its two ends touch.